Helping our customers find the perfect storage units and keeping our sprawling facility safe and sparkling clean can really build up an appetite, so our Thousand Oaks storage team has become pretty good at finding exceptional lunch spots in the Conejo Valley. 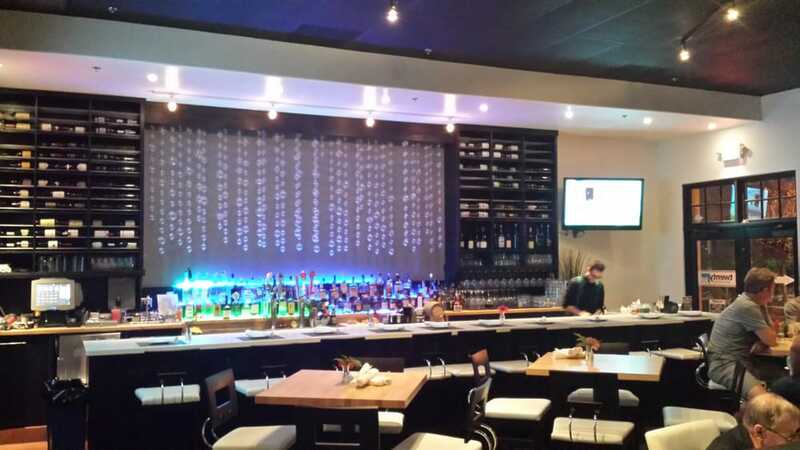 Whether you’re looking for cuisine that will make your mouth water, or ambiance that will make lunch not just a meal, but an experience, we have recommendations. We’re happy to share some of our favorite mid-day eateries and what makes them stand out to us. Hope you enjoy! Cici’s Café – What would we recommend for lunch at Cici’s? Breakfast! If you’ve ever been to Cici’s, we’re sure you’ll agree. 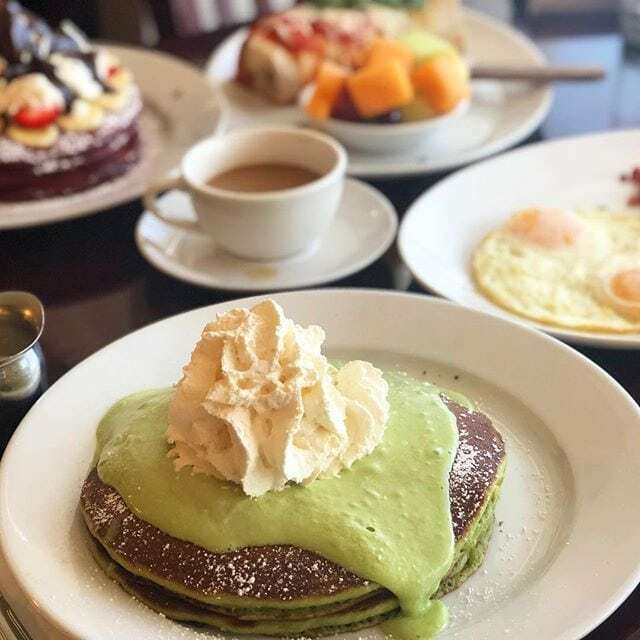 Their pancakes, French toast, waffles and crepes are simply to-die-for! And we’re not the only ones who think so! This full-service restaurant has been recognized on The Travel Channel and featured in LA Thrillist, LA Weekly, LA TimeOut and many other publications. Try the Betty Boo waffles made with fresh strawberries and topped with Nutella and ice cream. Or their Show Biz pancakes with sweet dried cranberries and caramelized walnuts topped with lemon sauce and whipped cream. Green Tea Tiramisu Pancakes. Another Favorite from Your Thousand Oaks Storage Team. Urban Plates – With a cafeteria-style setup but fresh, flavorful food prepared before your eyes, Urban Plates is perfect for the foodie with limited time for lunch. Our team particularly loves this restaurant’s salad options – especially their amazing Chicken Cobb salad. We also appreciate the quality of the food featuring grass-fed beef, sustainably sourced seafood, free-range chicken and the freshest produce available. The Thousand Oaks location is in The Oaks Mall near the AMC Theaters. Lots of parking exists, or on busier days opt for valet service. Twenty88 – Great service and trendy ambiance add to the eclectic food at this California and Mediterranean fusion bistro. Just a short drive into Camarillo, it’s become a special occasion favorite for our storage consultants. Though new menu items are being added all the time, if the salmon is offered, you can’t go wrong! Bonus tip: Twenty88 also has an excellent happy hour with a very broad selection of small plates plus interesting wines and cocktails. Spumoni – If Italian food is your jam, Spumoni offers a wide range of lunch options including salads, Panini sandwiches, pasta dishes and a variety of other entries. But, if Gnocchi is on your all-time favorite Italian food list, you’re going to go gaga over Supmoni’s! The restaurant’s Gnocchi Bar offers nearly a dozen different varieties including traditional dishes such as Gnocchi Al Pesto and Gnocchi Bolognese and unique recipes such as their Gnocchi Cardinale with sundried tomatoes and chicken breast in a pink sauce or the Gnocchi Tutto Mare with fresh clams, shrimp and calamari. Old Place – If you’ve never been to Old Place there’s one big tip you need to know – make a reservation. This restaurant is slightly bigger than a shoebox with just 5 booths and three tables. And each of these can accommodate only four people. So, yeah, it’s small! But it’s worth it for the atmosphere and the food. For your first visit, we highly recommend the Oak-Grilled BLT. Made with thick Applewood smoked bacon, it’s like no other BLT we’ve had and it’s so filling, splitting this dish is definitely an option. 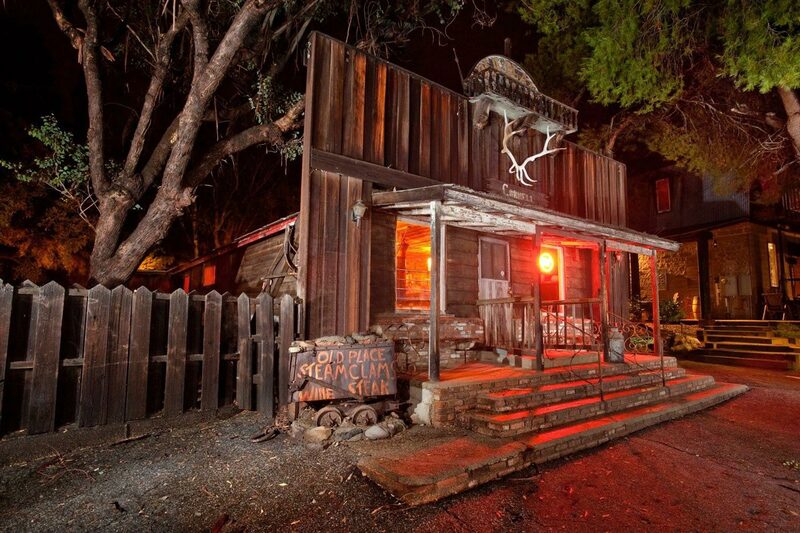 As for the ambiance, get ready for live music and an upbeat vibe inside with the look of an old west saloon. We have plenty of other recommendations, but we’ll save a few for a follow-up post! In the meantime, we’re ready to check out a few new places as well. Please share your favorite lunch spots and tell us what make them great! Or, if you’re in need of storage, a Penske truck rental or any of our post office services, come on by and share your ideas in person. This entry was posted in Things to do near Thousand Oaks, Thousand Oaks Storage and tagged Hollywood Storage Center, Lunch in Agoura Hills, lunch in Camarillo, Lunch in Newbury Park, lunch in Thousand Oaks, lunch in Westlake Village, storage, Thousand Oaks Storage by Hollywood Storage Center. Bookmark the permalink.